What do you look for in a residential heating and air conditioning company? Of course, you want a company that does a good job without trying to sell you on services you don’t need. You’re looking for helpful and skilled service from the contractor team. Local HVAC company reviews show you that Halo Heating & Cooling in Nashville, TN does business the way you want. Our clients share how happy their experience is when they use our services. Local air conditioning service reviews show that people in the area are impressed with the skill and knowledge of our team, and the helpful and friendly customer service we provide. Please feel free to read all of our local air conditioning company reviews on Google by clicking the review and see just how much happier people are with our company than others in the area. Want the same top-notch experience for yourself? 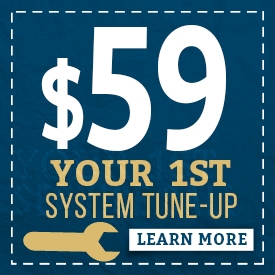 Call us at (615) 920-5869 to set up a service visit! It’s important to find a trustworthy company that provides a high quality of work. Learn about HVAC companies by reading the company’s website, checking with the Better Business Bureau and checking heating & air company reviews from Nashville residents. Reviews show you the real experience that local people had with a company, and can confirm or deny what a company says about itself. At Halo Heating & Cooling, we work differently than most HVAC companies. We always try to repair your HVAC system if possible. While helping you keep an older system running, we’ll also be responsible enough to let you know that you’ll have to replace the system in the near future. It’s important to find an HVAC company that you know is supporting your best interests. When you look at air conditioning repair reviews of our Nashville company, you see lots of comments about our great team. Our clients have loved the honesty of our team, and how they provide a needed repair without turning into salespeople. People are happy with how our contractor team is friendly and willing to share their expertise – and of course, how they have the skills and knowledge to perform a high-level job. Our team doesn’t fly in and out of homes, but we instead take our time with each homeowner to give you the best service possible (without wasting your time, of course!). You can expect a personal touch from our family-owned business. At the helm are Jay Ellis and Brian Glasser, who are family men who believe in treating people the right way and supporting the local community that this business is a part of. What Is the Cost of HVAC Repairs or Replacement? Overall, the price you pay depends on your specific situation and the company you choose. At Halo, we offer our superior service at affordable prices. We work on providing the best fix, instead of pushing upsells on you. Some of our HVAC reviews from Nashville residents have said that our company has provided a much less expensive fix than other local companies. Plus, we have the Halo Comfort Club for extra savings — it includes a first tune-up for $1 and discounts on repairs. Need HVAC Repairs or Replacements? We encourage you to look into our company and to read heating & cooling reviews of our Nashville business. We have nothing to hide, and we’re proud of our level of service! Whether you need emergency repair, preventative service or a system replacement, we do it all. Simply give us a call at (615) 383-4822, and we’ll be there soon with an honest opinion and excellent service!